Does SpareFoot have a budding Steve Carell, Stephen Colbert, Tina Fey or Julia Louis-Dreyfus in our midst? Yes, we do—and it very much is a laughing matter. 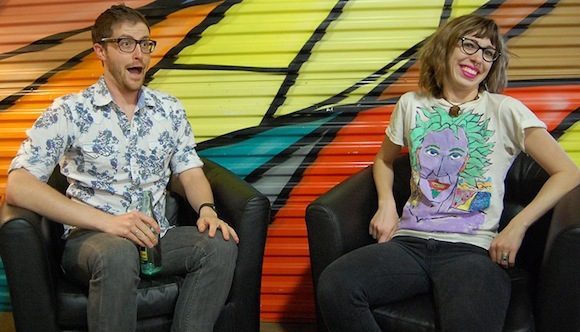 Not one but two SpareFeet are members of comedy troupes in Austin. Tevis Paxton, a member of our Lead Development Team, is in two local improv troupes: Raw Power and Rush. Meanwhile, Kady Williams, a member of our Amazing Customer Experience (ACE) Team, does her thing with a sketch comedy troupe called the Dramazons. Williams’ stage name is Kady Rain. For those of who aren’t in the know, improv comedy involves coming up with on-the-fly routines before a live audience, while sketch comedy is scripted. Whatever the brand of comedy, the thought of getting up on stage is more frightening to most of us than Joan Rivers’ face. Paxton and Williams (pictured above) thrive on the on-stage electricity, though. “With improv, you’ve got a team of weirdos who all agree to support and reinforce whatever nonsense you happen to come up with. Sometimes it’s funny, sometimes it’s sad, but you usually tap into some genuine human emotion if you’re doing it right,” he said. Ham or not, Williams confesses that she does succumb to stage fright from time to time. Ah, laughter from the audience. That’s what a comedian lives for. The Dramazons are performing “Add Women and Stir” in Austin. In Paxton’s case, he elicits laughter in different ways, depending on which troupe he’s performing with. Rush works with a format that the troupe created known as “Tom Sawyer.” In it, Rush begins with an opener dubbed “press conference,” with one player fielding questions from all the other players. For instance, it could be a zookeeper explaining to reporters how a boa constrictor managed to escape and eat several kids. Players in the Raw Power troupe follow a format known as “The Movie,” with the troupe acting out a movie on the spot. In an improv twist, Paxton and his colleagues play improv comedians who are performing a show. 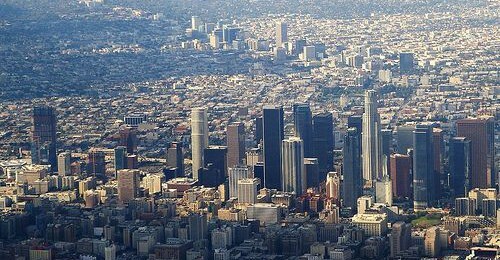 “These improvisers happen to be very nervous and not sure of what they’re doing. So we get exaggerated or bad versions of ourselves performing a show,” Paxton said. What does the audience witness when Williams is on stage? Silliness in the Storage Biz? So, do Paxton and Williams suppress their comedic instincts at the office? They don’t randomly break out into comedy routines—seriously, they’ve got work to do—but they do manage to incorporate humor into their day jobs. Paxton said he jokes around all the time at SpareFoot, helping him build rapport with self-storage facilities that he’s calling. “Making jokes is kind of my baseline state, so it’s nice to have co-workers who are so on board with my goofiness,” he said. Want to catch Tevis Paxton or Kady Williams on stage? You’re in luck. 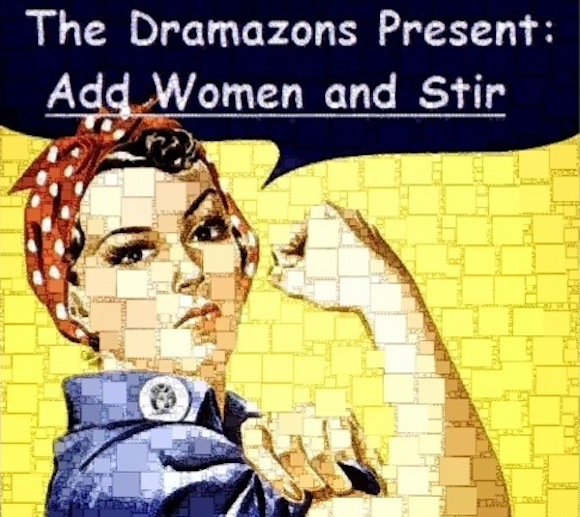 Williams’ troupe, the Dramazons, is performing a collection of sketch comedy scenes in a show titled “Add Women and Stir.” (Warning: The website is slightly NSFW.) The production will be staged March 28-30 at Austin’s Dougherty Arts Center. One of Paxton’s troupes, Rush, will be part of an improv show at 8 p.m. March 27 at The Hideout Theatre in Austin.